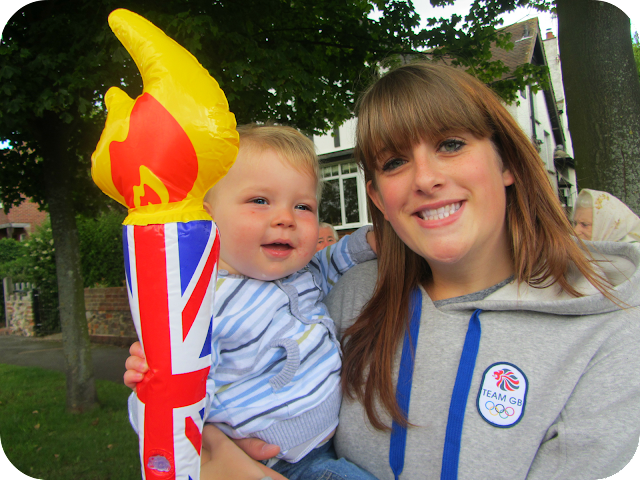 The Olympic torch finally made it's way into our little corner of the country and we were ready to welcome it. Armed with an inflatable torch of our own and a patriotic flag we joined the masses on Thursday morning waiting for the procession. police motorbikes driving around hi-fiving the children and beeping their horns to get everyone excited seemed to work. When the first cars and trucks came by he looked on intrigued by the colours and loud noises. The Samsung guy singled him out to wave at and he bopped his head to their tunes. We had managed to situate ourselves right by the changeover spot and had plenty of opportunities to photograph the next runner. We even got a chance to meet him and Dylan held the torch! As the flame came closer everyone crowded round and we were lucky enough to have a front row spot for the lighting of the next torch. The whole procession was lovely to watch and really seemed to encourage a community spirit which seems rare to see. 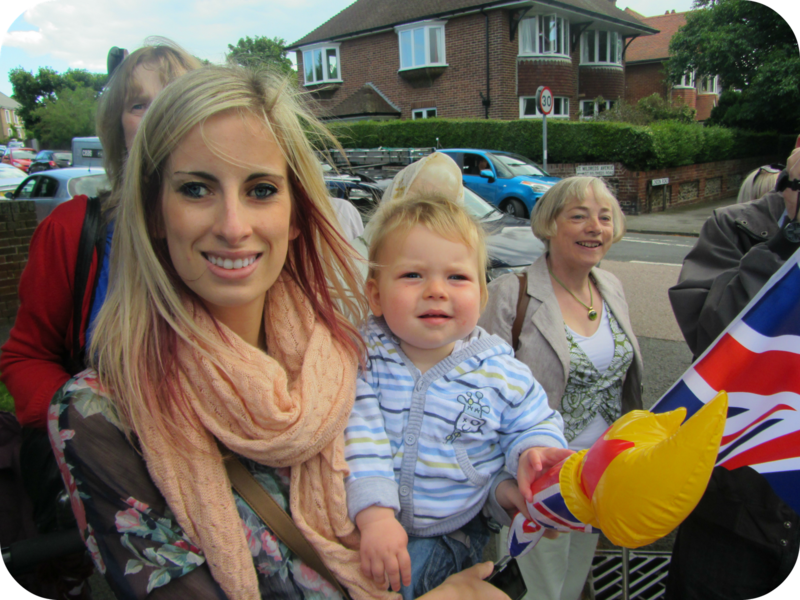 I had to go to work straight after but my mum and sister took Dylan to see the torch again that afternoon and proudly watched the runners. Did you go and see the torch come through your home-town? 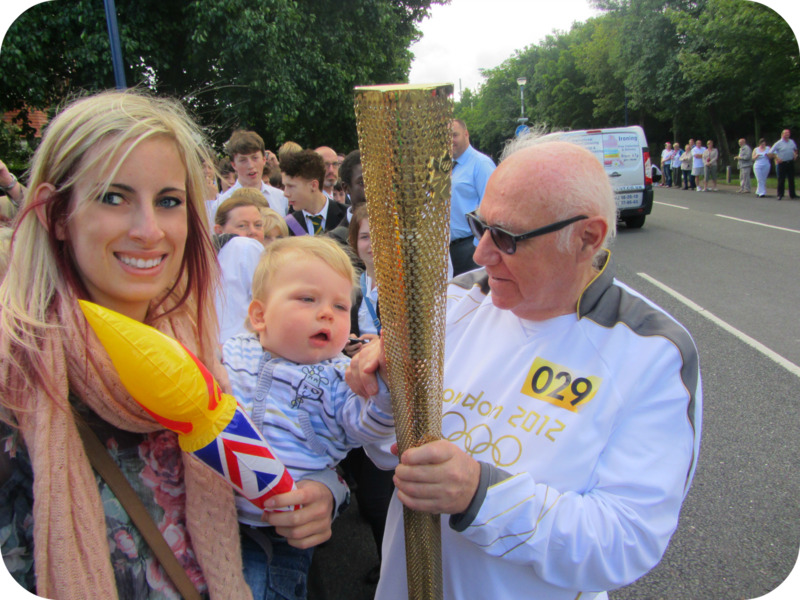 Great pictures...treasured memories for little Dylan :) We saw the torch in our hometown and a few days later got to take pictures holding it as we knew the torchbearer in a nearby town. I am so glad that we made the effort, it was well worth it. So glad we went as well, he has been part of a little moment of history already! Bless him! So much more exciting in real life Than the endless news stories! Oh, Lucky you (and big boy) we didn't manage to get any tickets and the only ones left we are not interested in. Hope you have fun! How wonderful! Your photos are terrific, and will be great for Dylan to look back on when he's older. Hopefully it will balance out all the embarrassing pics I take! What a great memory and a little piece of history for him! Something to treasure! Oh bless him! And wow you and your sister look so alike!